Source: 2011 Q2 Beartracks, Eric Newton The Bob Barrows designed tailwheels are now being manufactured and sold by Bearhawk Tailwheels LLC. The tailwheels are available for the 4-place Bearhawk, as well as the 2-place Patrol. These tailwheels are built per Bob Barrows' design and under his watchful eye. Bob has personally overseen the process of tooling up for the production of these tailwheels to assure top quality work. His name is on it, so he wants it right. 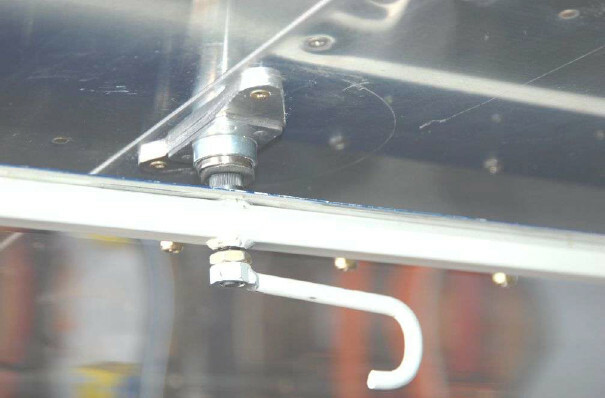 You and your tailwheel will benefit from the active and direct involvement of the design engineer, with 40+ years of engineering expertise and 4,000+ hours of actual tailwheel time. This year, Bob conducted a complete top to bottom review of his design, and made many improvements in the Bearhawk Tailwheel. Included are Anti-shimmy enhancements, increased positive steering lock, and a smoother release to full swivel. 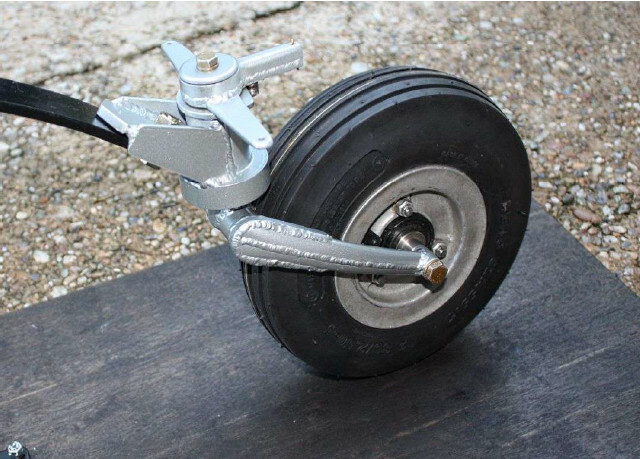 The tailwheels manufactured by Bearhawk Tailwheels LLC, are the only ones that have these new enhancements built in. The Bearhawk Tailwheels, which will be selling starting in September 2011, will come in both the 8" and 10" versions (the Tundra will be available shortly thereafter). Bob Barrows recommends this product for lubricating the aluminum threads (not o-rings) of your Bearhawk gas caps.